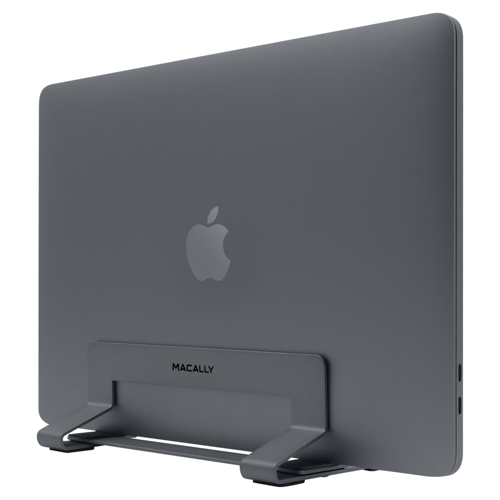 With the stylish aluminium Macally VERTICALSTAND you can work on your laptop while it’s closed and in upright position to maximize your minimal/valuable desk space. Usually, you keep your laptop flat on your desk, but this takes up quite some space. Take for instance a 13-inch MacBook Pro. Flat on your desk it takes up 11.97 in (30.4 cm) to 8.36 in (21.2 cm). 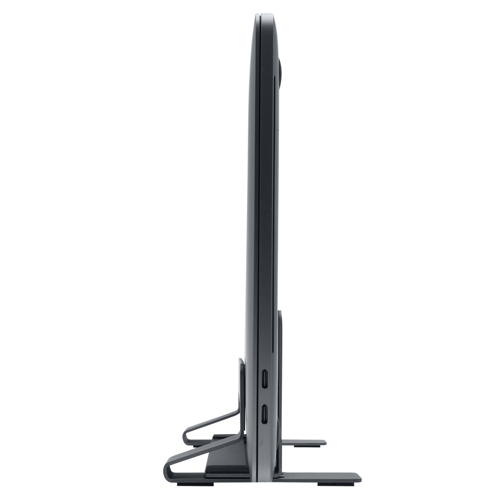 However, when you put it in upright position in this stand you reduce it to 3.93 in (10 cm) to 11.37 in (30,4 cm). A saving of 50%! 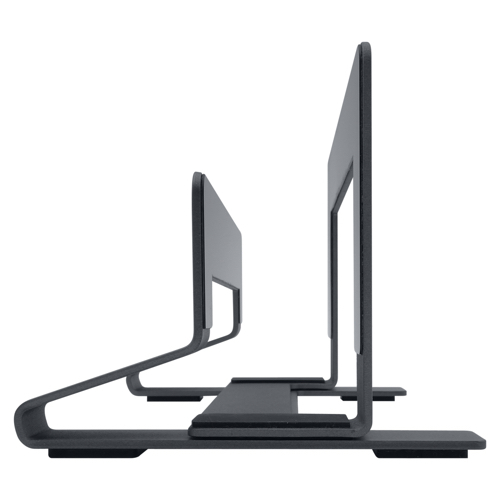 The stand is made of high quality and solid SECC steel and has a wide non-slip rubber base to make sure that your laptop stands securely on your desk. On the inside it has soft padding to hold your laptop securely and protect it from scratches. The package comes with a screwdriver so that you can easily adjust the width to precisely fit your laptop. 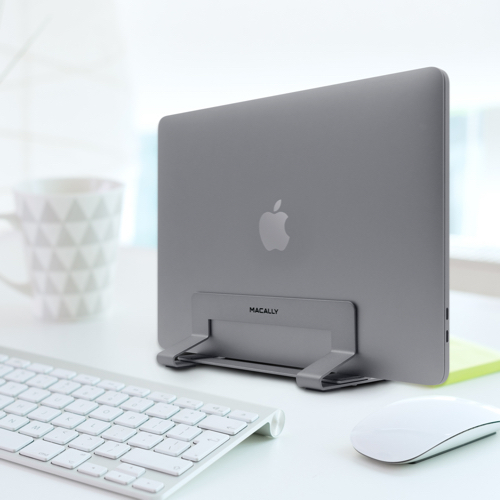 The stand fits Apple Macbook, Macbook Air, Macbook Pro and any laptop between .63 in to 1.19 in (1.6 cm to 3 cm). Of course, while your laptop is in the stand all ports are fully accessible, so you can connect it to the power, monitor, keyboard and mouse. 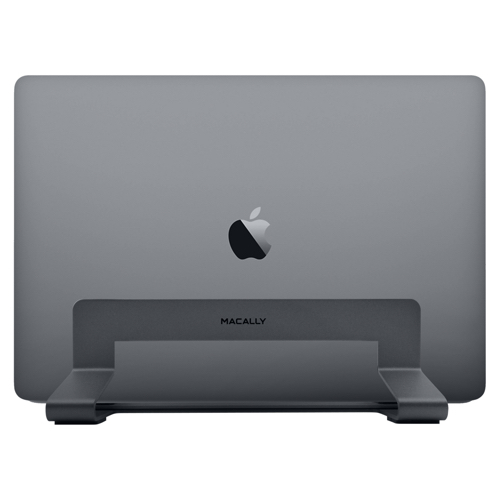 The aluminium material and open design allow all around natural air flows to keep your laptop cool. 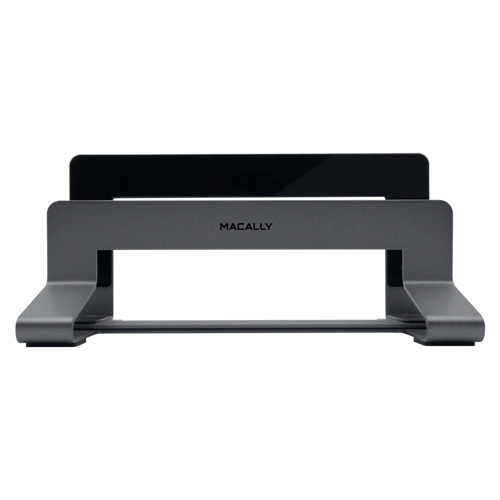 Stylish and space saving, the Macally VERTICALSTAND gives you some piece of mind while you are working. No more worries about a messy desk!